Crystal Cove State Park is expecting rain tonight, but is anticipated to be clear in the morning. If it is not raining, the hike will go on. 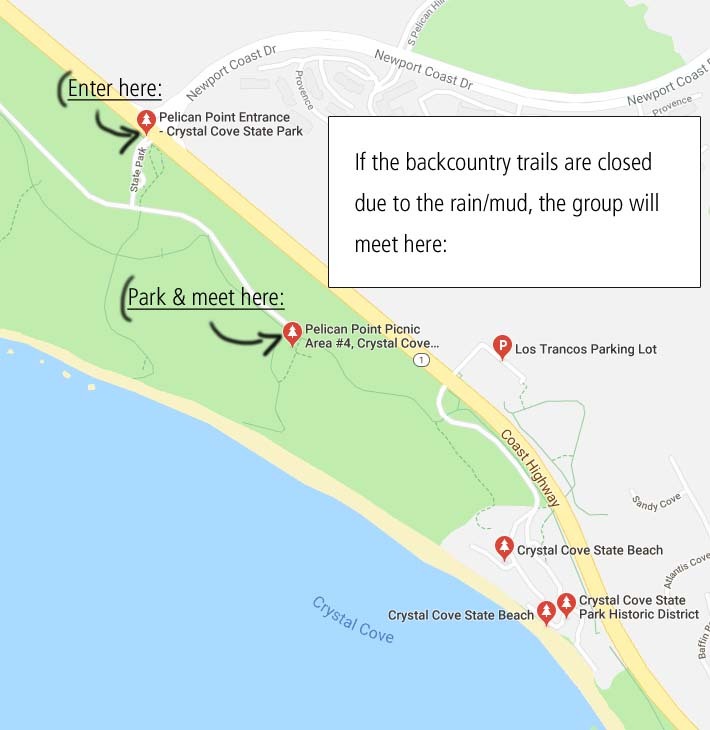 If the backcountry trails are closed due to the rain/mud, the group will meet at the parking lot (near “Pelican Point Picnic Area #4) to the far left of the Pelican Point Entrance (across from Newport Coast Dr.) for a more leisurely hike on paved paths. As a reminder, parking is $15/car. 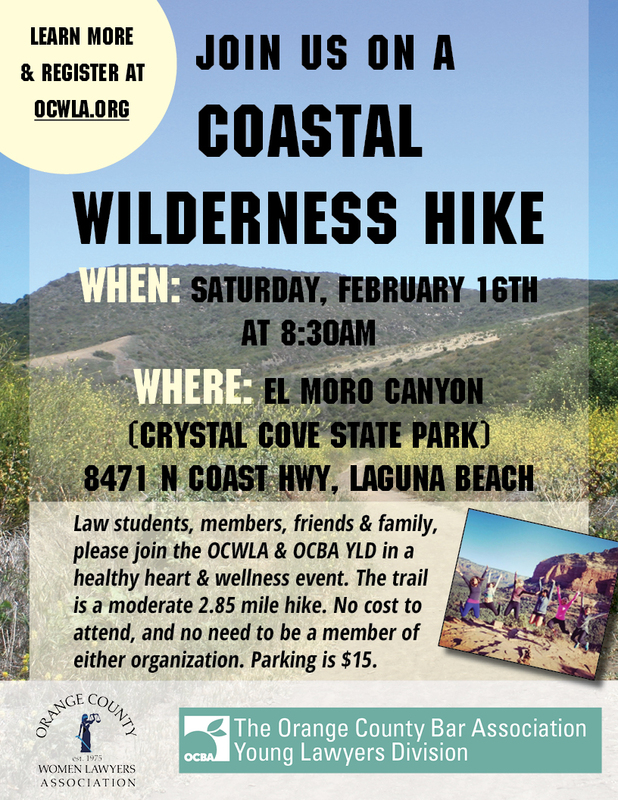 A group will be meeting at the Starbucks in Crystal Cove Shopping Center about 20 minutes prior to the hike to carpool to the State Park. Please feel free to join us!